Flagship welfare reforms will create "losers" despite a likely 50,000 increase in the number of children eligible for free school meals (FSMs), a new analysis claims. The Institute for Fiscal Studies (IFS) said it expects there to be families who gain and lose out under changes introduced via Universal Credit (UC), which involves six benefits being rolled into one payment, compared to the system it replaces. It believes there could be a "small increase of around 50,000" in the number of children eligible for FSMs. Entitlements to the benefit will be lost by jobless families disqualified from UC altogether and working families where the parents work low numbers of hours on a higher wage, the briefing note from the respected economic think tank adds. The children of lone parents are expected to be the biggest beneficiaries in terms of being eligible for FSMs, the analysis suggests. 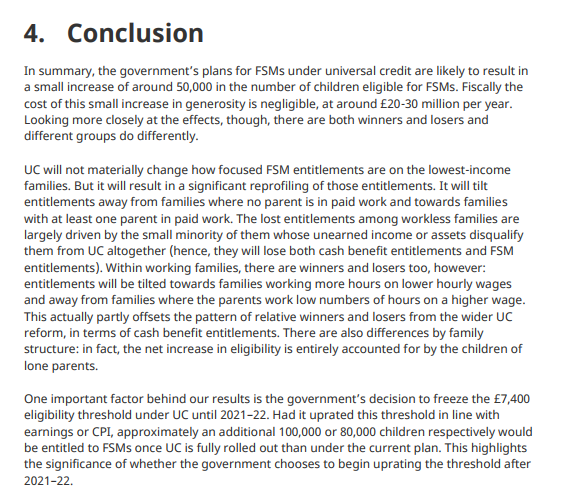 In total, the IFS estimates around 160,000 children will lose entitlement to FSMs under UC while around 210,000 stand to gain entitlement. A political row has broken out in Parliament in recent weeks about the impact of the changes on children receiving FSMs. All families on Universal Credit are currently able to claim free school meals, as part of a package of measures to help the transition to the new benefits system. Ministers say it was never their intention for these arrangements to remain in place and that an estimated 50,000 more children will receive free school meals by 2022, compared with the old benefits system. In England, the net earnings threshold will be £7,400 whereas in Northern Ireland it will be £14,000. 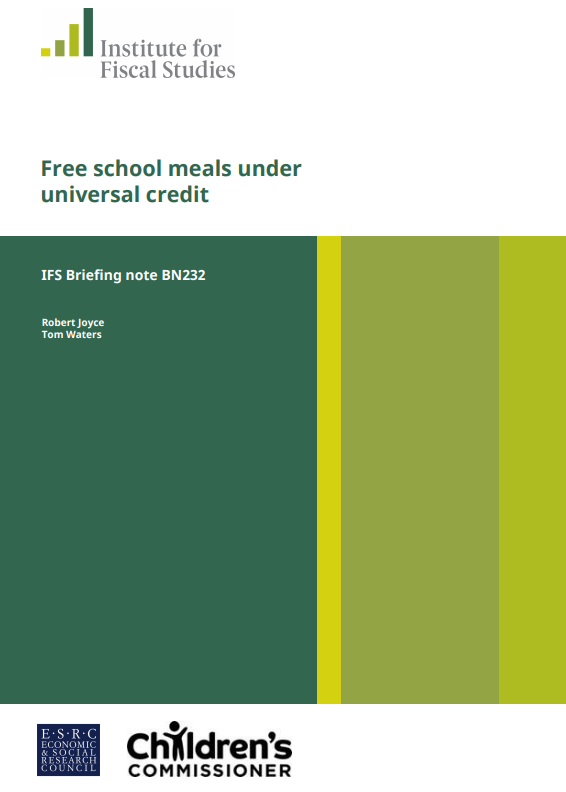 The IFS briefing note, Free School Meals Under Universal Credit, concludes: "The Government's plans for FSMs under Universal Credit are likely to result in a small increase of around 50,000 in the number of children eligible for FSMs. "Fiscally the cost of this small increase in generosity is negligible, at around £20-30 million per year. "Looking more closely at the effects, though, there are both winners and losers and different groups do differently." IFS research economist Tom Waters, an author of the analysis, said: "It creates a substantial number of losers, but also a greater number of winners, with children of lone parents and of working parents especially likely to gain entitlement." Shadow education secretary Angela Rayner said the analysis has "clearly shown" that the Government has "not been straightforward" with the families who will lose their eligibility for FSMs. She said: "Ministers claimed time and time again that nobody would lose a meal under their plans, but the IFS has revealed that one in eight children who were eligible before Universal Credit could find their meals taken away once the Tories' plans are imposed in full. "That is before we even account for the hundreds of thousands more who would have received a meal if they had kept the system as it is now. "Yet again, the Tories are fiddling the figures rather than facing the facts."